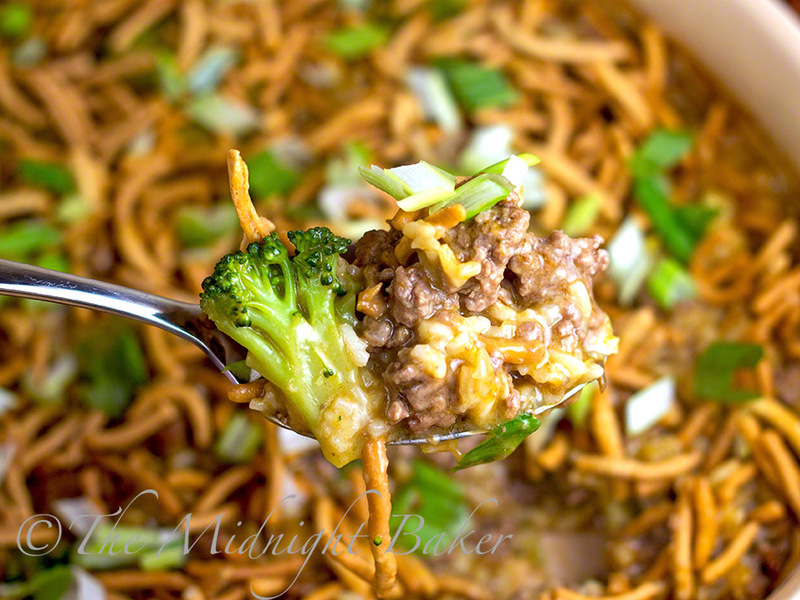 Crunchy and inexpensive ground beef casserole based on Chinese beef and broccoli. Here’s an easy one-dish meal that will please mostly everyone. 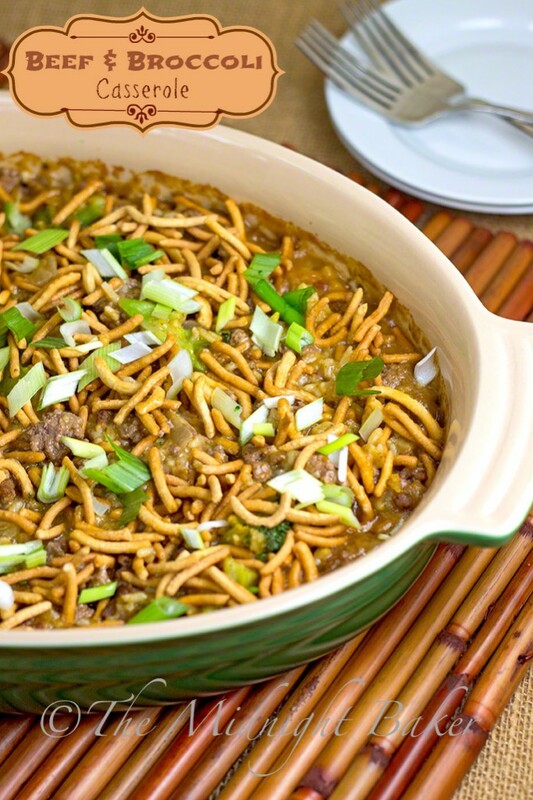 I’m not going to say this duplicates the authentic Chinese recipe, because it really doesn’t. It’s more reminiscent of the dish actually. 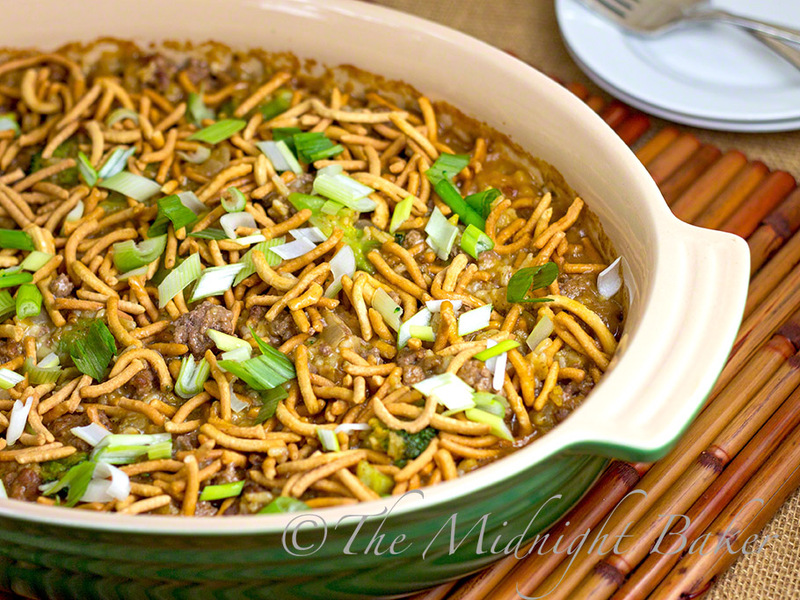 The original recipe for the basic casserole was found in one of my Gooseberry Patch cookbooks. However, I didn’t care for the seasonings nor that it didn’t incorporate any veggies. So I changed it to include some broccoli and added some Asian-style seasoning. This would be even nicer if leftover jasmine rice was substituted for the instant rice. In that case, I’d reduce the water by 1/2 if I made that change. I think the taste of jasmine rice would kick up the flavor even more! 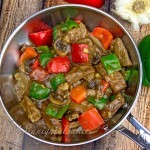 Feel free to add more veggies or a combo–maybe some sliced water chestnuts and mushrooms too. 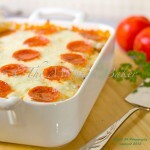 Preheat oven to 375 degrees F. Lightly spray a 3.5 quart baking dish (or 13x9 dish) with non-stick spray. 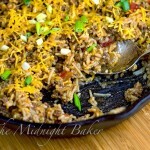 Brown onion, garlic and ground beef over medium-high heat in a large, heavy skillet. 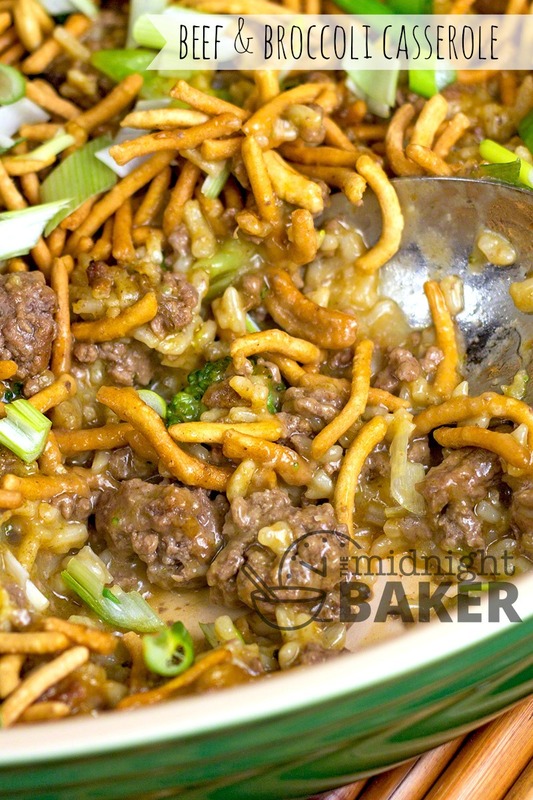 Mix remaining ingredients except chow mein noodles and green onion in a medium bowl. Stir in ground beef mixture and turn into prepared baking pan. 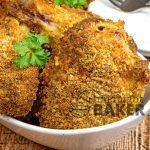 Bake for 20-30 minutes or until casserole is bubbly. 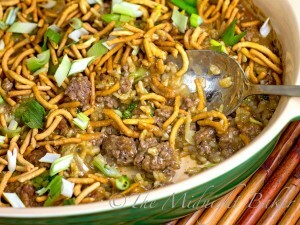 Top with chow mein noodles and bake for an additional 10 minutes. Garnish liberally with green onion, if desired.